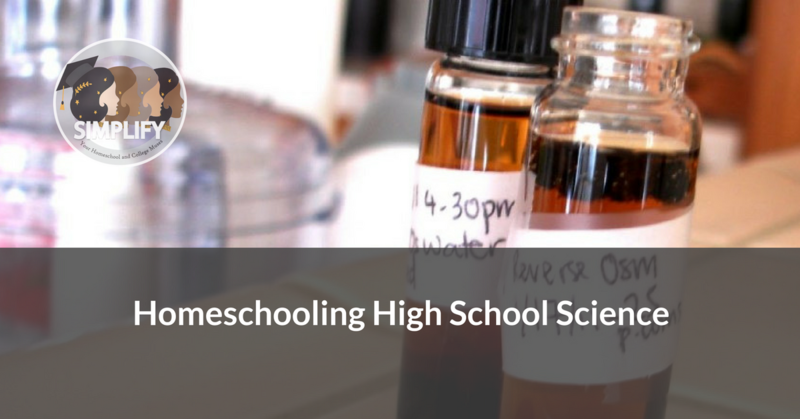 A few days ago, we laid out some tips for homeschooling science in the younger years. In this post, we cover the teen years. Once you’ve established a fantastic critical thinking mindset during the Wonder Years, you might be wondering how to sustain that interest and analytic ability when the kids are older and it starts to “really count”. Well, it’s always really counted hasn’t it? The Wonder Years are the important years because they set a foundation, helped your child to love science and to ask all the important questions, to gain the tools to answer the questions, and perhaps, best of all, even to learn to teach themselves. For the high school years though, homeschooling parents worry–and rightly so– about actual science labs, using textbooks, writing lab reports, and assigning credits. Thinking about science as something you have to get done often makes it boring for both parent and teen. There is a percentage of homeschooling parents who feel well-qualified to guide their children thanks to their own strong academic background in science. For the rest of us–parents not ready to teach our teens on our own–there are so many wonderful online science classes available today. Clover Creek Physics, Derek Owens (regular and honors Physics), The Well Trained Mind Academy, and for the AP level, PA Homeschoolers, are all popular online science class providers. But once you’ve handed the teaching over to someone else, how do you keep science an interesting and meaningful family affair? Teens tend to consider themselves all-knowing. Encourage that by asking them why something happens but try not to rub your hands in glee because the tables are now turned. If your daughter loves machines, ask her to show you how they work. Ask good questions and let her know you are grateful for her time. If your son is setting up an experiment from his online class, ask him why he is doing what he is doing and if he needs a hand to time the experiment. If your child loves animals, support their interest by helping them to be involved in 4H activities, or in fostering animals if you have the means. Ask them how you can help. Be a good role model and read science books in front of them, then ask for their opinion about something you read. The trick is to reach them where it matters most to them, engaging them in conversation, and preserving that tradition built in the younger years where you talked about everything under the sun. Invest in a good camera (or if your teen uses a smartphone, one with high quality phone camera). Invest in a good microscope. Bring specimens home to observe in more detail. Look up scientific names on the internet. Get them a voice recorder to record what they see. Encourage them to keep their own nature journals online if they won’t write in a notebook or to produce their own science movies or even, science music videos! Technology is often a great way to help teens to engage with science. If an online class will not suffice and you really hit a dead end on how to keep homeschooling science in the high school years, see if your teen is ready for dual enrollment. Research age limits then ask if your teen needs help to access those classes either at a community college or a university campus. If your teen is reluctant to take this path, find a homeschool co-op class or start one with a group of homeschooling parents. Rope in your teen’s friends and their folks! If one parent is willing to teach a class, other parents can chip in by paying for and ordering supplies or even hosting the class in their homes. Not every high schooler needs to follow the traditional biology/ chemistry/ physics route. Mix it up! If your teen has already had algebra1, consider starting with physics to help apply those algebra concepts. If your teen is an animal or plant lover, consider a year of zoology or botany instead of general biology. If your teen loves watching things explode, start with chemistry, (take cover), (insure the house), and take all precautions necessary for safety. Elite colleges do like to see students complete three years worth of lab sciences and if this is where your teen is headed, you don’t have to sacrifice interest in the other sciences because you are concerned about credits. Even if your teen is not headed to college, you will be giving them a lifetime of good memories because you chose to respect their interests. We hope that these tips will help you to see how fulfilling and satisfying homeschooling science can be. We hope that by reading this, you discovered the secret about homeschooling science–that it’s not about teaching it but learning it together. We hope that this will help your child to preserve their childhood sense of wonder about the world around them. Please reach out to us anytime if you have more questions on homeschooling science or homeschooling K-12 in general.